The highest note, F, can be played either on the Ist fret of the high E string, or on the VIth fret of the B string. The first note, C, can be played on the IIIrd fret of the 5th string, or C on the VIIIth fret of the 6th string. 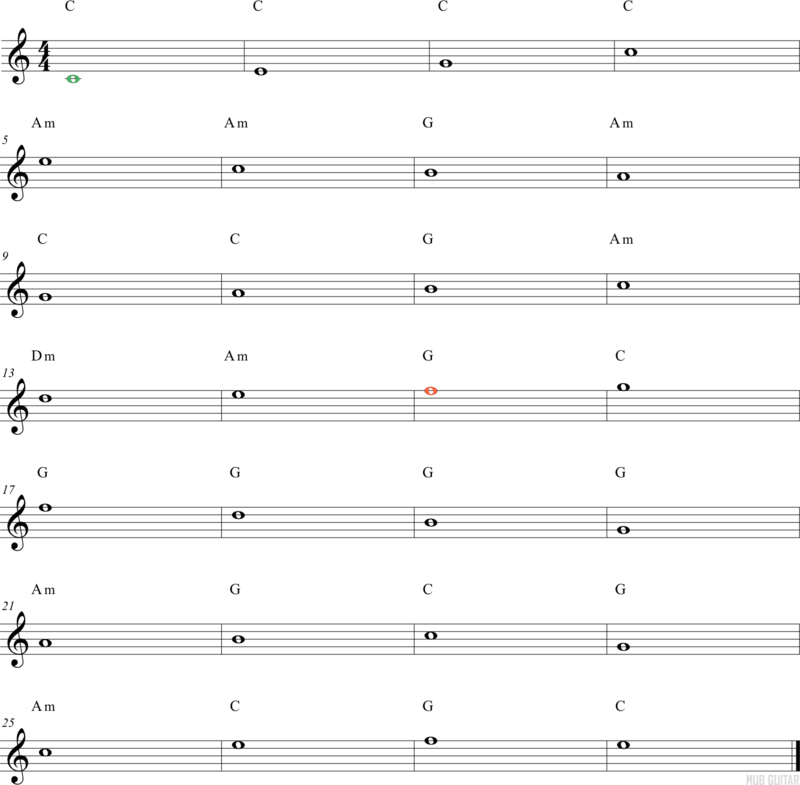 Play a C major scale from one of these two C notes before beginning. Say the name of each note, and find it on your guitar. Each note will be played for four beats. So after playing each note, count to four. This should be read in Position I or Position V. (In the open position or at the Vth fret.) It is best to read it in both positions.